What is Revitalization and Restructuring (R+R)? While the number of religious is growing in Asia and Africa, it is dropping in Europe and in the US. Provinces that comprised more than a thousand men are now down to only a few hundred; provinces that started fewer friars are now similarly much reduced in number. There are savings which can be gained by combining vocation offices, accounting offices, communication offices, etc. Restructuring will allow more of the money generously donated to the Franciscans by the people of God to be dedicated to our works. A province is a grouping of friars, usually organized by geography. St. Francis of Assisi established our order to be a decentralized one. While we do have a minister general in Rome, who is the successor to St. Francis, most of the day-to-day decisions in the order are made by the various local provinces throughout the world. St. Francis also took Jesus’s mandate that the “first shall be last and the last shall be first” to heart. Unlike some religious congregations which call their leaders superiors, in the Franciscans, the leaders are called ministers and guardians. The head of each province is referred to as a provincial minister. There are over 100 OFM provinces throughout the world. In the US, there are currently seven provinces. You can read about them on our History page. Their headquarters are located across the US in California, Missouri, New Mexico, New York, Ohio, and Wisconsin. What was the recent vote about? The friars of the provinces of Assumption of the Blessed Virgin Mary, Most Holy Name of Jesus, Our Lady of Guadalupe, Sacred Heart, St. Barbara, and St. John the Baptist gathered in meetings (called chapters) on May 30, 2018. 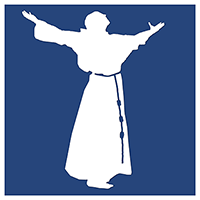 The only issue before the friars in these chapters was the formation of a new province in order to renew and revitalize Franciscan life and ministry within the United States. Since the power to create provinces is reserved to the minister general and his councilors in Rome, the friars voted on whether to have their provincial ministers petition the minister general and his council, asking them to allow these six provinces to form one new province. One US province, the Immaculate Conception Province, based in New York City, had already decided to not participate in the R+R process. A delegate of the minister general will be sent to conduct an official visitation of the friars. When that official visitation is completed, the delegate will report to the minister general. If the report warrants that the process moves forward, the minister general and the general council will decide whether or not to authorize the suppression of the six provinces and the official establishment of a new province. Because of the various issues involved, it will take four or five years to affect the restructuring. The best guess is that it may be completed by 2022 or 2023. What’s going to happen to my parish/ministry/favorite friar? From most people’s perspective on the outside, not much will change. Many of the same parishes will be staffed by many of the same friars. For the friars themselves, there will be a much richer variety of possible ministry opportunities available. A young man may want to serve in a California mission, or with migrants on the southern border, or in one of our colleges and universities, or in different parish settings, or with different language groups, or in direct service to the poor, or some mixture of these ministries during his life. No longer will he be restricted to those ministries available only in the area of the country served by his current province. Is R+R a positive step? Yes, we expect that “beginning again” through the R+R process will bring new enthusiasm, energy, and faithfulness to our mission. Friars have been living in one of the existing provinces for many years. They were received and formed by their province. Their closest friar friends are usually within their province. We have shared stories — some true and some mythical. In leaving this behind, there will, of course, be some sadness and grieving. Friars worry if the traditions, struggles, and histories of their provinces will be respected and maintained in the new province. At the same time, the richness of new ministry opportunities, as well as a large number of new collaborators and potential new friends brings an excitement. An integral part of the process is the revitalization of Franciscan life, and this also adds a feeling of excitement and hope. Have other questions? Drop us a note!